I’m so happy to share the news that I have two upcoming dates for my Introduction to Modern Calligraphy workshop. -How to assemble your pen, inking up you pen, proper holding and basic strokes. -How to clean and maintain your nibs. -Tips on paper, ink, brands. 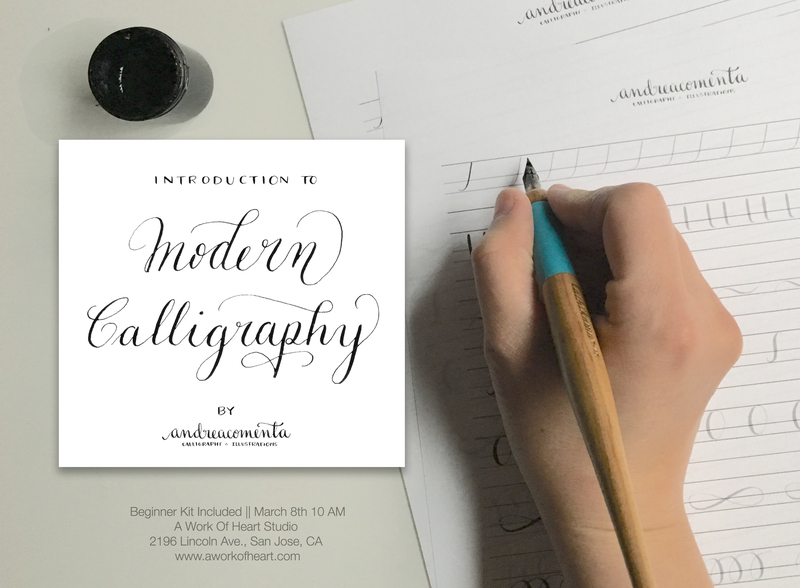 Join me on Wednesday 8th or Sunday 12th at A Work Of Heart Studio in the charming neighborhood of Willow Glen to learn the beautiful art of modern calligraphy. Register here.